In order to reduce the amount of spam on the forums, all accounts now require a Steam link in order to post. If you are unable to post on the forums, please verify that your Steam account is linked to your forum account! 1.) Login to the forums with your forum username/password at this link. 2.) Once logged in, goto this link and login via Steam. 3.) Once logged in via steam, click the Link Account button on the lower right side of the screen. If you have any issues, please PM an admin such as myself. 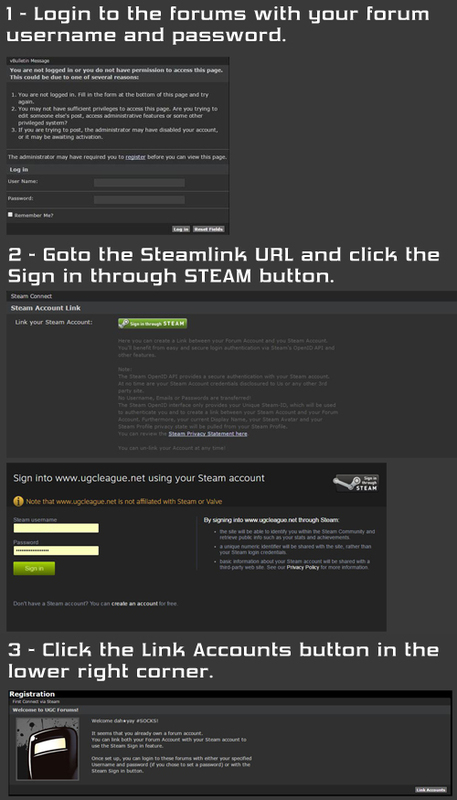 We can un-link a Steam account, or help you troubleshoot the process.